Congregation Sha’arey Israel members pride themselves on being part of a friendly, vibrant, ‘hamish’, multi-generation congregation. 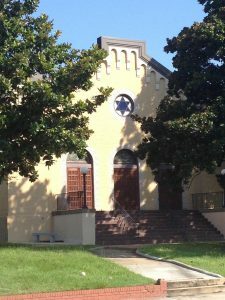 Jews from a variety of different backgrounds and from all over Middle Georgia have found a spiritual home at CSI. We truly appreciate your interest in Congregation Sha’arey Israel and we look forward to having an opportunity to meet with you and introduce you to the CSI Family. If you would like more information on membership please contact sect@csi.mgacoxmail.com or call 478-745-4571 and someone from our membership committee will be happy to answer your questions. The application can be downloaded (right click, “Save As”) and completed using Adobe Reader. After completing the application, please email it to sect@csi.mgacoxmail.com. The information that you share with us is used for administrative purposes and is completely confidential.